From stitching to spoof promotions and animated cartoons, PRWeek highlights the five best campaigns that ran during the last month. For the 100th anniversary of the Women’s Institute in the UK (16 September), agency Umpf came up with the ‘tWItterstitch’ event, in which 100 commemorative tweets using the hashtag #theWI_100years were live-stitched by members to form part of a celebratory wall hanging. 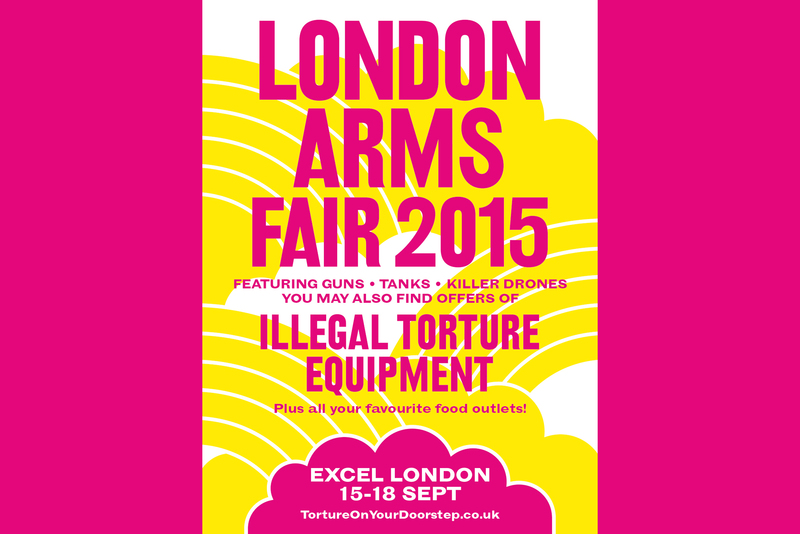 Working in a pro-bono capacity, ad agency VCCP helped create spoof promotional material to educate the public about the London Arms Fair, which took place at the ExCel between 15 and 18 September. Dubbed as the "advertising campaign the Government didn’t want you to see", this formed part of Amnesty’s wider ‘Stop the Torture’ movement, launched in May 2014. PR activity included placing adverts in the London Evening Standard and City AM, creating a video as well as printing posters, lanyards and leaflets. 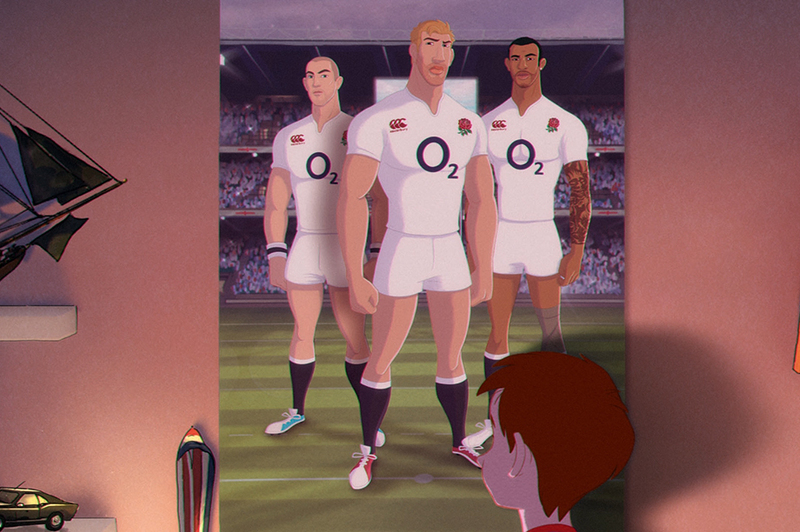 O2 and VCCP’s animated film for the Rugby World Cup is a move away from the usual aggressive style of rugby promotion. ‘Make Them Giants’ shows the England Rugby players as cartoon characters reaching out to a broader audience than stereotypical diehard male fans. It is part of O2’s ‘#WearTheRose’ campaign, with involvement from PR agencies Hope&Glory, M&C Saatchi Sport & Entertainment and Havas. 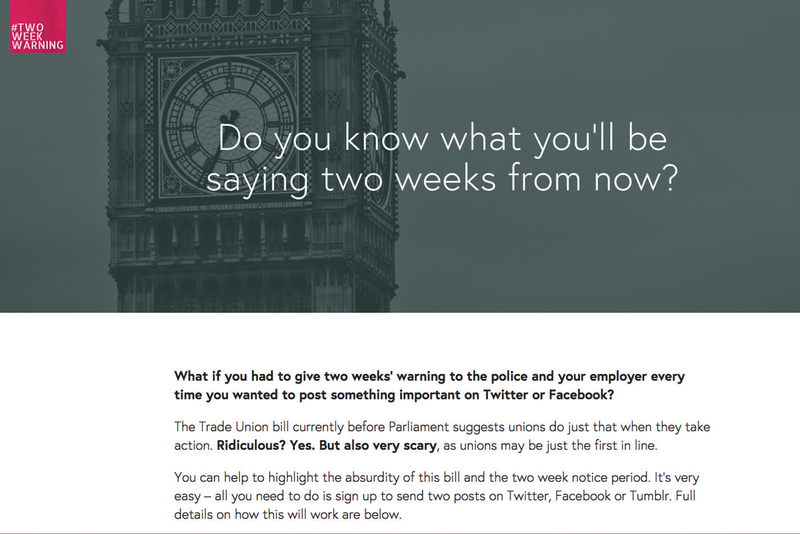 The trade union Unison has signed up 700 individuals to its ‘#TwoWeekWarning’ campaign. This protests against proposed new laws that Unison says would require trade unions to report planned social media activity to employers two weeks before any strike. Individuals signed up to have two tweets, Facebook or tumblr posts automatically published. The first, on 20 September, warned of an "important message" to be published soon. A second went live on 4 October – the first day of the Conservative Party Conference – using the conference’s hashtag. Highlighting the fact that fewer than three per cent of adults in England gave blood last year, compared with 24 per cent who cheered on England’s 2003 Rugby World Cup victory, MHP Communications and creative agency Pablo's new ‘#BleedForEngland’ campaign seeks to sign up 100,000 new blood donors. The campaign features rugby stars including Jonny Wilkinson and Martin Johnson talking about the importance of blood donation, some eye-catching artwork and pledges of support from local rugby clubs.